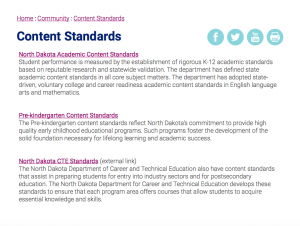 The NESC is supporting implementation of the 2017 North Dakota English Language Arts (ELA) and Mathematics Content Standards in K-12 classrooms across the region by responding to the research regarding best practice and to member schools’ requests for a viable curriculum; a well-articulated set of knowledge and skills that can be taught for understanding in the instructional time available. 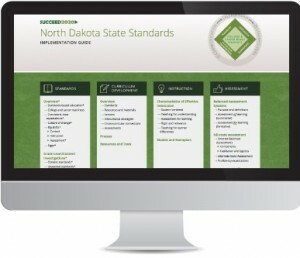 A viable curriculum can be achieved through the implementation of prioritized standards; a set of 12-20 standards per grade level and content area that are taught to a level of understanding through strategies such as introduction and teaching as new knowledge, practicing and deepening activities, formative and summative assessment, interventions and/or extensions, and reassessment if necessary. Additional time is invested in these standards to ensure as many students as possible reach a level of understanding. • And assist REAs in developing and delivering professional learning. We hope that you will review and use this valuable resource and share it widely among educators with whom you work!